This expertly crafted piece of jewelry radiates a magnificent sparkle that does not just entice your gaze, but also captures your heart. The design of this dome shaped wedding band showcases three rows of lustrous lab grown diamonds that are partially prong set on its sleek shank. These eco-friendly diamonds dazzle like stars in the night sky and grab your attention effortlessly. 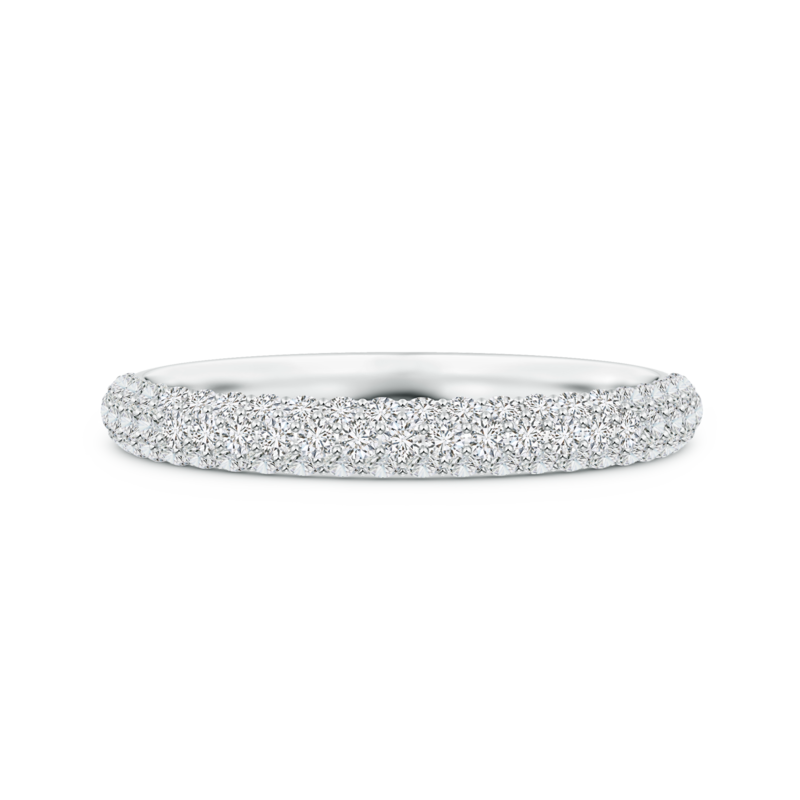 Designed in 14k white gold, this absolutely luxurious half eternity band is sure to be a possession you will cherish for a lifetime.